Welcome to Honor Community Health! 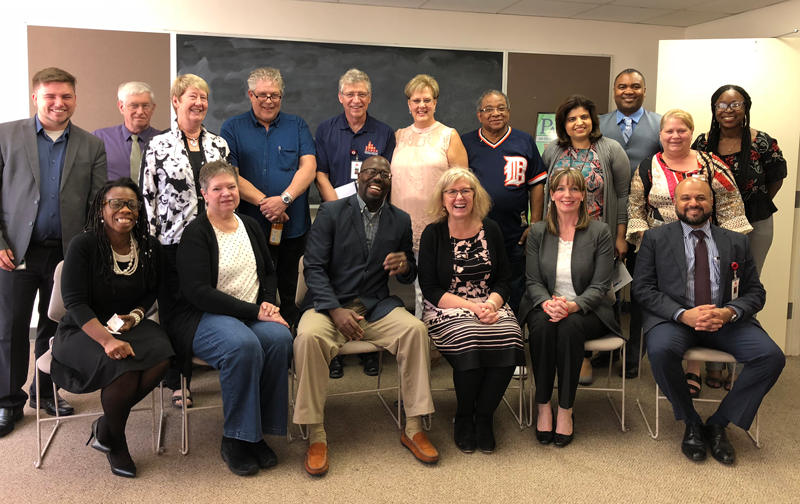 Honor Community Health is a nonprofit, 501(c)(3) community health center with eleven sites throughout Oakland County, Michigan – including six integrated primary care sites, one dental site and four school-based health centers. As a federally qualified health center (FQHC), Honor Community Health provide access to primary, behavioral health, dental care, and other specialty services to the communities we serve – regardless of insurance status, place of residence or ability to pay. FQHCs are governed by a consumer-majority, volunteer Board of Directors that are connected to the communities we serve. Honor Community Health’s primary focus is to provide high quality health services to those who have little or no access to health care, regardless of income or insurance status. To provide for the health and wellness needs of the underserved of Oakland County through the provision of comprehensive, integrated primary, behavioral health, and dental care. At a time when finding reliable and affordable care can be a confusing and intimidating process, Honor Community Health is able to combine quality, patient-driven primary healthcare services with unmatched accessibility, flexibility and personal consideration. Our community health centers offer an Integrated Primary Care approach – a patient-centered method that combines medical, dental and behavioral health services to more fully address the spectrum of problems patients bring to primary care. Honor Community Health is a Health Care for the Homeless Center! Our mission is to meet the health and wellness needs of vulnerable populations throughout Oakland County – including the homeless – through the provision of integrated primary care. In spring of 2015, Honor Community Health was awarded a Healthcare for the Homeless (HCH) grant, allowing homeless individuals in Oakland County access to quality health care services from our highly trained clinicians. Honor Community Health is one of only a couple hundred HCH-funded providers in the United States. Our HCH program is community-based, and provides comprehensive primary care, specialty care, mental health services, substance abuse treatment, dental care and other supportive services for the homeless. If you are currently staying in an emergency shelter, on the street, camping out or even staying with a friend temporarily, you may be eligible for our services through the Healthcare for the Homeless program. Honor Community Health is a certified Patient-Centered Medical Home! At Honor Community Health, we are committed to being your partner in health care and aim to provide care that is patient-centered. Please call (248) 724-7600 today to schedule your appointment at one of our Honor Community Health sites.